The first competitive gaming event took place October 19, 1972 and was organized by Stanford University in their Artificial Intelligence Laboratory. The tournament, “Intergalactic Spacewar Olympics,” was a challenge for both singular players and teams and was played on one PDP-10 computer. The competition stakes were high as the winner would be awarded with the grand prize of a year’s subscription to Rolling Stone. Fast forward through the 1980s and we arrive in 1990s, the decade of the internet. Although companies began to promote video gaming in the 80s, it was not until the age of the internet that widespread interest and fandom began. 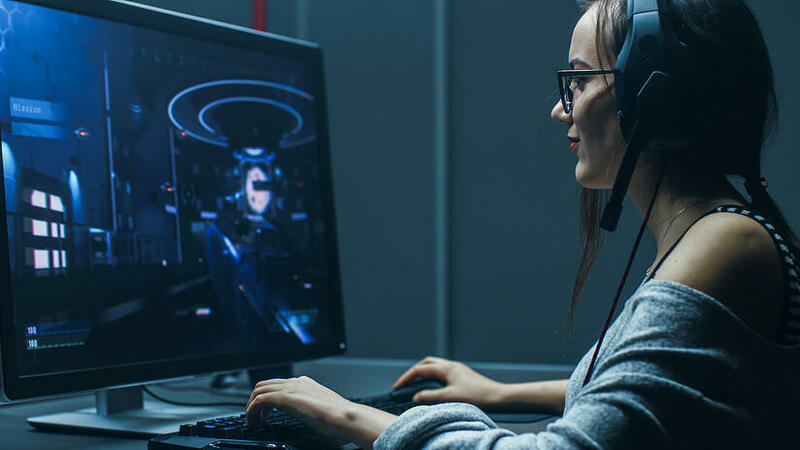 Being able to connect online contributed to the popularity of PC games and larger companies such as Nintendo and Blockbuster began sponsoring world championships of video gaming. In the 2000s more tournament events were created and the Electronic Sports World Cup and World Cyber Games were born. The World Cyber Games (WCG) was an international organization that allowed competitors to play in their own environment all over the globe; over 800,000 participants competed in WCG events held in 78 countries. The initial two tournaments were followed by Major League Gaming (MLG) in 2002, being the current largest eSports league today. Lastly, the Multiple Online Battle Arena (MOBA) genre was formed in 2002. Now popular games such as League of Legends continue on the MOBA form and have huge followings as well as players on a daily basis. As evident in this brief walk through eSports history, the industry of competitive gaming has continued to expand throughout the years. Today new social video platforms, such as Twitch have broken into the scene. Twitch has become the premier social video platform that allows users to live stream themselves playing games, watch live tournaments, and interact with their favorite players. Currently, Twitch has an estimated 140 million unique viewers per month with an engagement rate of 23 billion minutes watched per month, according to its website. The opportunities are endless, and research says the gaming industry is ready for advertising. As the esports industry continually develops its popularity and status as a reputable sport, advertisers are opening up to the new prospects in forms of sponsoring events, players, and targeting the online audience. In a study posted by game market researcher Newzoo, the eSports market is projected to grow more than $250 million to $905.6 million in 2018, a 38.2% growth year over year. Below is a chart showing the estimated revenue growth stream published by NewZoo in their annual report.It is an important time for the industry as a whole in establishing itself as a trustworthy sport and media vehicle for brands. Locally, we are seeing opportunities arise with eSports and have been reviewing opportunities for several of our clients. The ability to target college aged individuals has become the concentration for some education and entertainment clients and eSports has presented an exciting new solution. In particular, we will be participating in sponsoring the Philadelphia Fusion Showcase, NSG Player Unknown Battlegrounds, NSG Eastern Conference Championship, and many more through a local eSports network. Sponsorships include signage both printed and digital during all tournaments and throughout the Academy for their weekly events and training programs. All Championship and Academy events are broadcasted to an online audience allowing advertisements in talk shows available through podcasts, YouTube, and Twitch. If you are interested in learning more about eSports opportunities and think it could be a good solution for your business, reach out to a MayoSeitz Media strategist for more details.